This is where you'll find the biggest collection of Bad Design examples from daily life!!! The Bad Designs were collected over the years from the user submitted entries for the World Usability Day Contests under the name "Boycott Bad Designs". 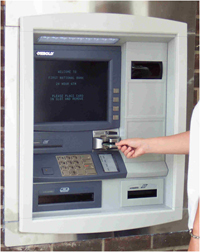 Most of the in cities are using atms but if village people have it then it is for them to take money so by keeping atms in village and issuing atm cards by checking thumb impression of that person he is able to take money and there is no stealing of pinnumbers and should not have to enter pin numbrs or forgetting of pin numbers. One can find LPG cylinders in almost every kitchen in India. The problem with them is that not everybody knows the way of putting the regulator over the nozzle of the cylinder to make it work. The prime users of these cylinders, the women folk have trouble in establishing a way to manipulate the regulator knob. They have to ask the help of others to put the regulator on the cylinder and on it properly. I think it is a problem which can seriously hamper the safety of a household. If you are into "notorious" cars, this might be the pick of the auction. The Aztek is synonymous now with bad design. The way some people say the "Cadillac of…" or "the Lexus of…" Now, people in the auto industry might say a bad design was "Honda's Aztek." GM rarely parts with "first-off-the-line" cars, but they made an exception here. This bike gets started by turning on the electric start , if the battery is low, then there is no other alternative to start the bike. Here, carefully observe this railway track , no train can enter it , if at all any of the train enters, nothing can stop from a very big disaster. In India current wires are not properly arranged. If any large winds occur or if any rain fall occurs then current wires are fall down. 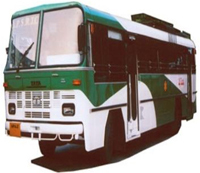 If any current wire touches the bus then shocks will arise.